Buy on Amazon!Buy on Amazon! The ultimate guide for business leaders to attracting and inspiring diverse people. Have you ever asked yourself what else you could do to motivate your team members? Have you ever wished that your team could accomplish more in less time? Have you ever longed for a more creative team? Inclusive leadership can help you with all of that. 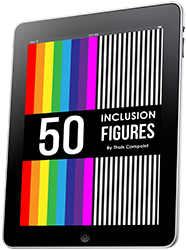 Studies show that inclusion and diversity increase engagement, productivity and innovation in teams. This book focuses on the habits you can adopt every day, the baby steps you can take anywhere, to create an inclusive culture and boost your team’s performance. It’s grounded on the latest research and packed with real-life examples, concrete tips and practical tools. "This book is bringing enlightenment into the business world." 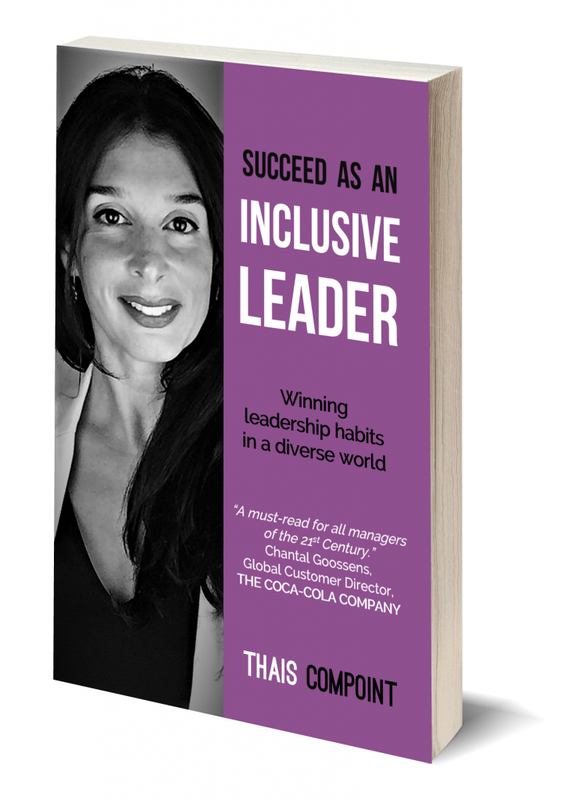 Thais Compoint is an internationally acclaimed specialist in inclusive leadership. Her achievements have been acknowledged with 14 awards, including the prestigious “Top Global Diversity and Inclusion Leader Award 2018”. Thais spoke at 3 TEDx events. She is a keynote speaker, facilitator, consultant, the author of the book “Succeed as an inclusive leader”, the creator of the Inclusive Leadership Global Conference, as well as of the YouTube show and podcast “The Inclusiveship Show”. Last but not least, Thais is the founder and CEO of Déclic International that she created after leading the inclusion and diversity strategies of three Fortune 500 companies: Vinci, Coca-Cola Enterprises and Cisco. An open-minded business leader or manager looking for new ways to increase engagement, productivity and creativity in your team. A human resources professional or an inclusion and diversity practitioner looking for effective strategies to create an inclusive culture. A curious human being, looking for a refreshing perspective on inclusion and diversity, and wishing to contribute to a more inclusive world, where people feel free to be themselves and valued, no matter how different they are.